In this day and age, luxury mechanical watches are all the rage. There are countless reasons as to why a luxury watch is much yearned after for the people who can afford it. One would focus on the cultural and historical significance of the brands while others would prefer the mechanical aspects. However, one aspect that many overlooks are the process that goes into modern watchmaking. The watches of SIHH 2019 featuring new-age materials are coming into full swing, thanks to the ingenuity of the luxury watchmakers. During the yearly Geneva event, many luxury watchmakers showcased their latest timepieces with the latest technological advancements. What makes this year different is the focus watchmakers placed on its bezels and cases, and not just the mechanical aspects. The watches of SIHH 2019 were out in full swing, featuring new materials on the faces and bezels that don’t necessarily include your usual stainless steel and the likes of it. Don’t believe us? 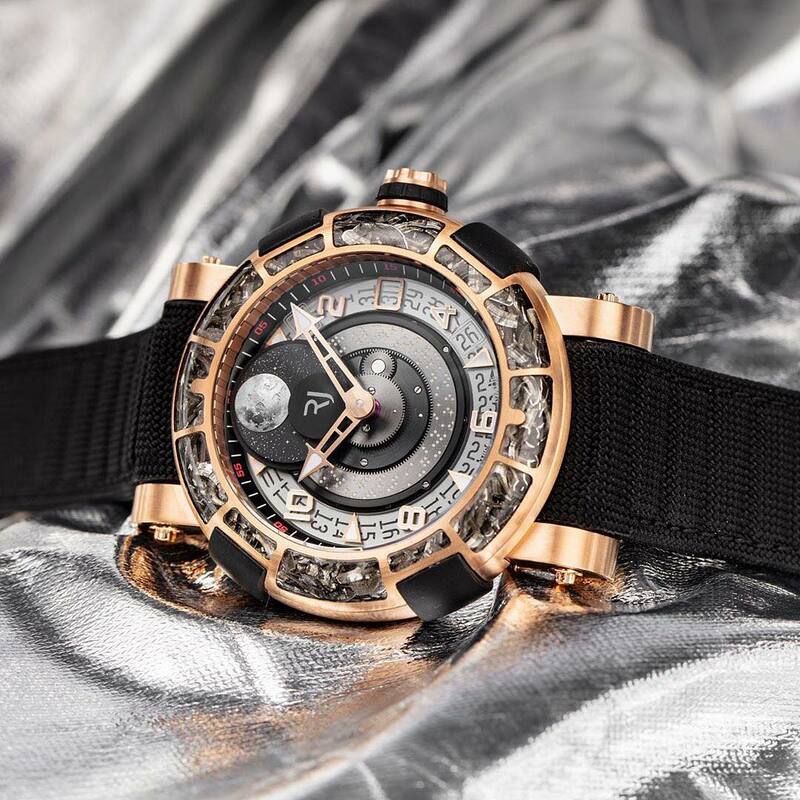 Scroll down to check out these five watches of SIHH 2019 that featured new-age materials. Panerai watches have long been associated with the Italian Navy, dating back to its Swiss-Italian heritage. During SIHH 2019, it introduced the Panerai Submersible, a diving watch with two new technologies: BMG-Tech and Carbotech. The latter was first introduced back in 2015 as reinforced carbon fibre material made to handle the extreme conditions of the ocean. It wraps around the unidirectional bezel and allows itself to be exceedingly tough yet lightweight. BMG-Tech on the other hand encompasses the 47mm case, which is capable of being highly resistant towards corrosion, external shocks, and magnetic fields. Jaeger-LeCoultre is well-known for its hand-engraved enamels that rests on its many watches. This is thanks to its in-house master artisans who have been doing hand-guilloché enamel work since 1996. Not only did the Jaeger-LeCoultre Reverso receive the enamel treatment, but also the Ultra Thin Moon Enamel now. A great feat is the thickness of the timepiece at only 10.55mm thin. 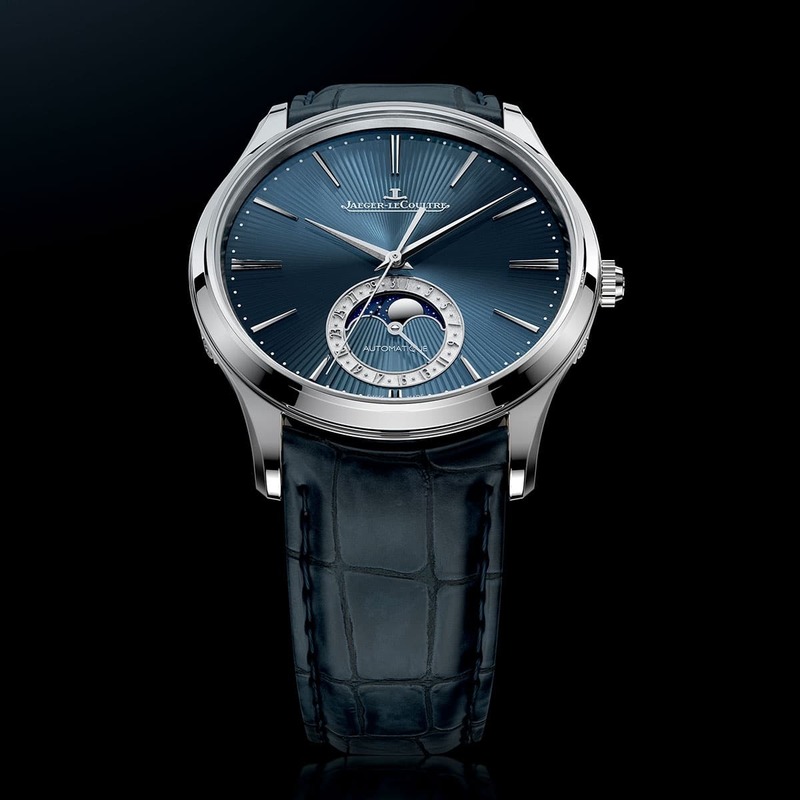 However, it is the striking deep blue enamel dial with a guilloché finish that really sets it worlds apart. To sweeten the deal, Jaeger-LeCoultre also threw in long and slender hour hands with a new automatic calibre movement: 952/2. The Freak series by Ulysse Nardin has been around for the past 18 years and it took the watch world by storm back in 2001. 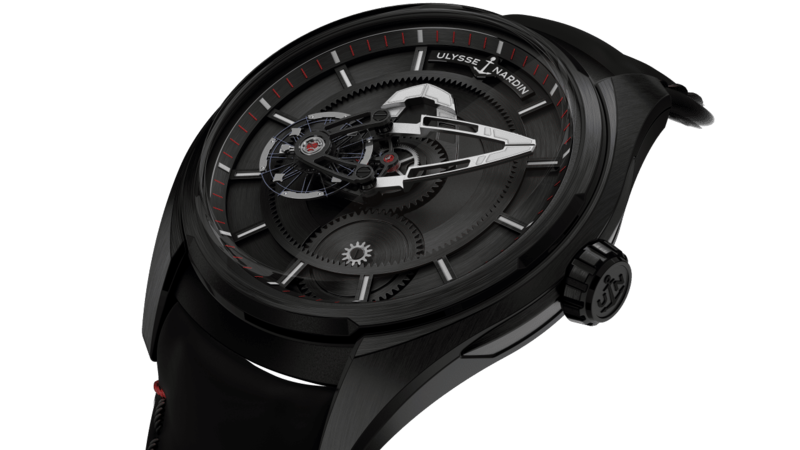 In 2018, Ulysse Nardin introduced the Freak Vision with a self-winding movement. At SIHH 2019, it brought forth a more streamlined, entry-level edition — the Freak X. It follows suit from its predecessors with its unusual movement, which turns itself on every hour to indicate the time. However, the Ulysse Nardin Freak X also comes with a Cabonium edition, which is a high-performance and super-lightweight material regularly used in the production of aeroplane fuselages and wings. Carbon glass isn’t something commonly found in watches, but that didn’t stop Girard-Perregaux from including it into the Laureato Absolute Chronograph. It’s touted to be tougher than steel with an extreme stiffness that is off the charts. 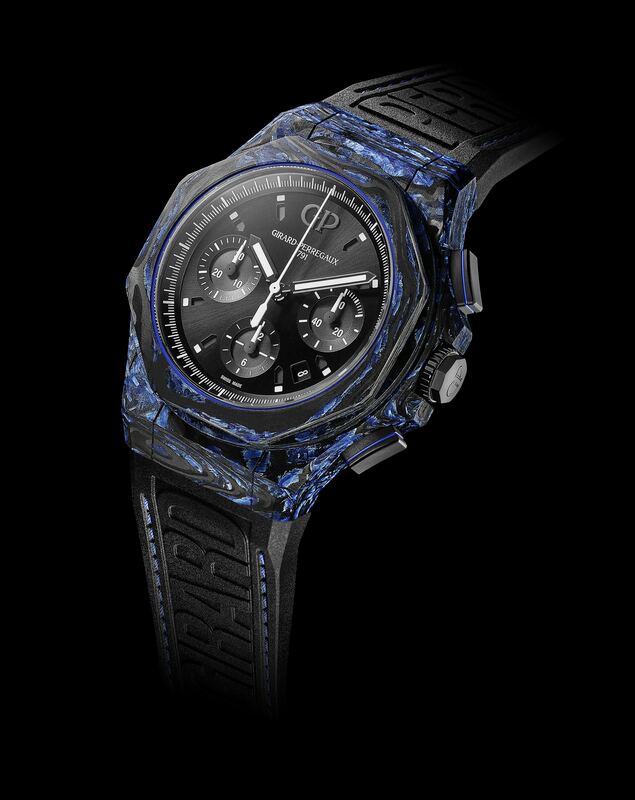 According to Girard-Perregaux, carbon glass is 100 times harder than steel and eight times less dense. This allows it to practically float on water while ensuring it remains nearly impenetrable, which makes it highly water resistant. And here’s the kicker: the material blends together black carbon alongside pigmented glass fibres. This gives the timepiece its coloured streaks and irregular patterns, creating an artistic impression on your wrist in various shades. Romain Jerome is known for its “out-of-the-box” approach when it comes to luxury Swiss timepieces. Over the years, Romain Jerome has introduced plenty of unique watches but the Romain Jerome ARRAW 6919 is perhaps the most interesting piece yet. Inside lies the RJ-2180 mechanical self-winding movement, which Romain Jerome modified to accommodate its patented Romain Jerome Moon Phase mechanism. Said mechanism lies on the bezel, which is an ultra-light yet hard composite material, combining high-performance acrylic glass with actual parts from the Apollo 11 shuttle. You will now get to watch a 3D moon rotating 360° during a complete cycle of 29-and-a-half days.